If you're a blogger and you've always wanted to write a book, then Nina Amir's How to Blog a Book is the perfect book for you. It will give you the know-how and the incentive to get going on that book idea of yours in an innovative way. By blogging it. I've read many books in my years of book blogging and I know that some books started out as content from blog posts, probably unintentionally. But Nina gives you easy step-by-step instructions on how to get it done intentionally, even if you've never owned a blog before. I got all kinds of ideas reading this book and it inspired me to give it a try. 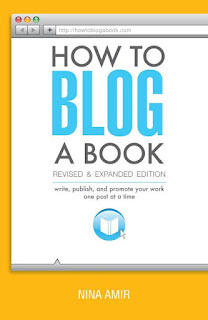 At 240 pages, Nina covers it all, the basics and the more advanced stuff based on her experience blogging books. I learned new stuff even on topics I am pretty savvy about. I read the PDF version of this book, but I sure wish I had the print copy so that I could highlight, bookmark and make notes on points that I did not want to forget. The book is well-written and well-organized. The book's info is systematic so that you can follow all the steps easily. Amir's experience is evident and she certainly "gets" the appeal of good blogging and how it's become a part of the book publicity and business world. Even if you never do blog a book, you will learn valuable information that will improve your blog content and visibility. If you take blogging seriously, or want to become a serious blogger, or own a business, this book will help you to see how blogging can improve your business and your writing. 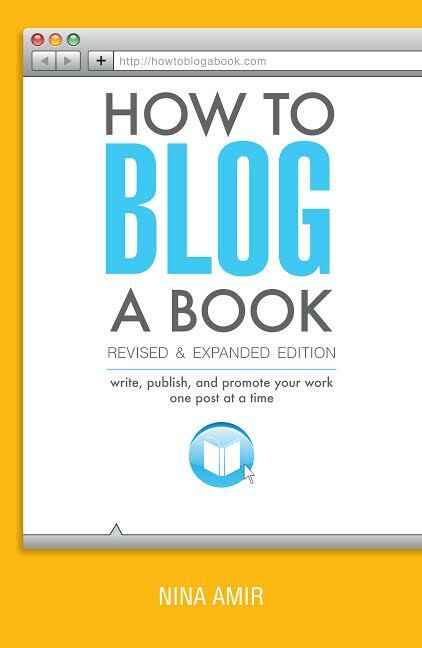 Highly recommended as a must-have resource for all those who want to take blogging to a higher level. 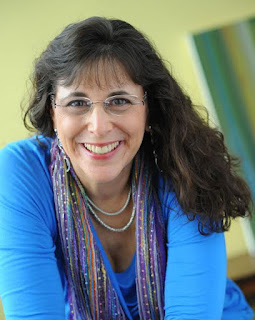 To read more reviews, please visit Nina Amir's page on iRead Book Tours.